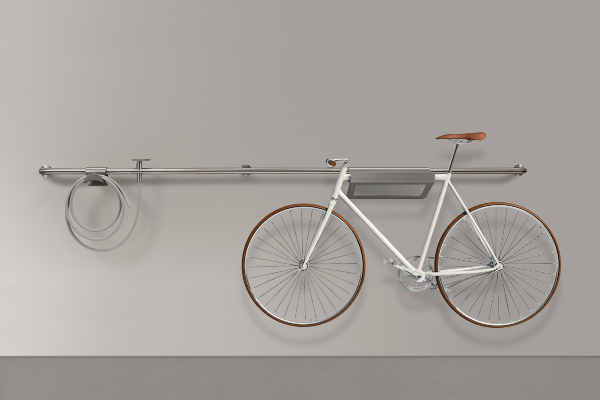 A contemporary design twist on the old taps whose pipes ran along the outside of the wall, HOOK by CEA is a system of articulated and flexible taps designed to be used in various settings, from outdoors to bathrooms and kitchens. 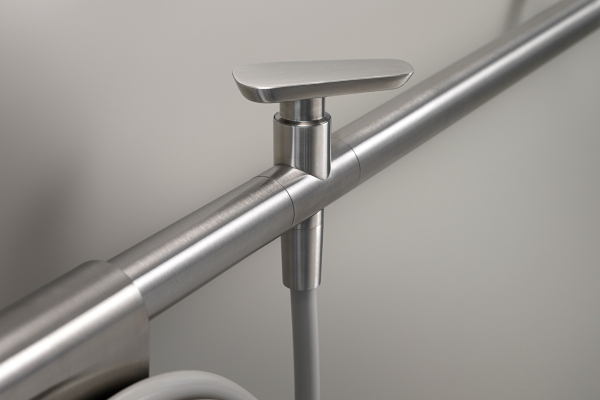 A support on which the taps are mounted and which is fitted with all the complementary accessories that might be needed, wherever it is installed. The soft and ergonomic shape of the handle ensures optimum ease of use and a pleasant feel. Made entirely of stainless steel, HOOK is available in brushed stainless steel and matt black finishes.